By now, it’s safe to say that Google is the most powerful search engine available. With over 40,000 unique searches made on the platform every second, it is by far the most powerful tool out there for restaurants. Not only does it help people find the information they want in a matter of seconds, but it also answers one of the most important questions asked daily. If you are a restaurant operator, odds are your restaurant is showing up in at least a hundred Google searches every month within your area. Up until now, there really hasn't been a way for you to capitalize on that. (Granted, you could always add your location, phone number, and website to inform potential guests.) There was never a way to directly convert searches into restaurant reservations. Until now, that is. 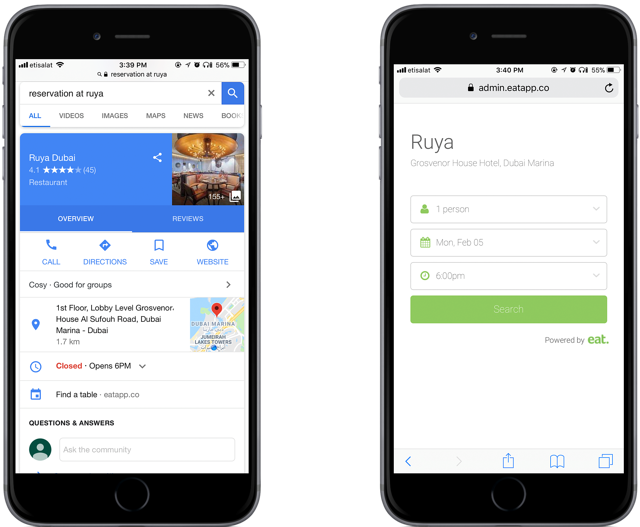 Google has recently added an amazing new feature to their Google my Business offerings that is a game changer for restaurant owners looking to increase reservations - the ability to add a reservation link directly within a typical Google search. Read more about restaurant marketing and Google Business. Read on to learn this hack as well as how to maximize its impact. What is A Google Reservation Link? 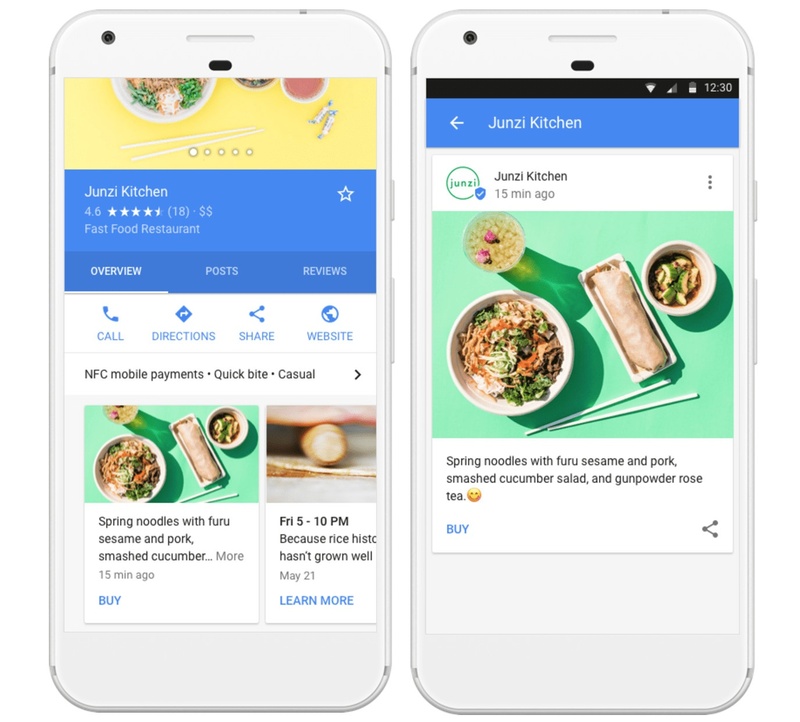 Google now allows restaurants to take bookings directly from within Google Search and Google Maps. Restaurant operators can add their own custom links for specific services into their Google Business page. Why is This Important For Restaurants? Statistic: Restaurants who add booking links to their Google Business see that 20% of their online bookings come from these links. 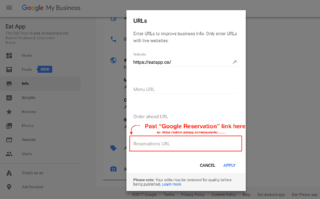 How to Add Reservation Link to Google Profile? So this all sounds great, but how would you go about adding a reservation link to your Google profile? Sign in to your Google My Business account. Click here to learn how to create a Google My Business account. 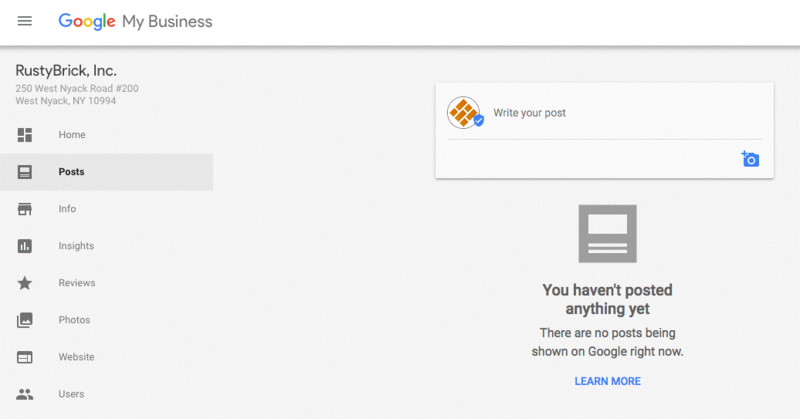 In addition to the reservation link feature, Google has introduced the ability to share "Google Posts". Google posts are a feature in Google Business profiles for sharing small updates about your restaurant. You can share pictures, short videos, and GIFS directly on your profile. Think of them as mini, temporary blog posts that live inside of your Google profile. You can post whatever you like, which means you can use this feature as an extra way of encouraging people to book. Why Are Google Posts Important For Restaurant Owners? You can update Google Posts to reflect new menu items, special events, or any one off things happening at your restaurant. How to Add Google Posts? How to Use Google Posts to Increase Restaurant Reservations? 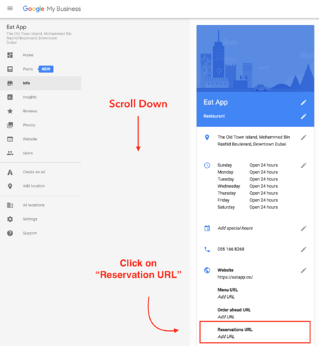 Want to learn more about Google reservation links, Google posts, and how you can use booking widgets to increase your reservations online? Download our FREE guide to online booking widgets to get started.